Sometimes nature astounds us with form, sometimes with function. Sometimes the tiniest organisms conspire to create a brilliant show unique to one small part of our planet. Dinoflagellates do this. A type of plankton (Pyrodinium bahamense) found primarily in Puerto Rico and Jamaica, luminescent dinoflagellates illuminate upon any agitation of the water they reside in. Visitors to such a bioluminescent bay witness a breathtaking display of light and motion that seems dreamed up by alchemists or animators, yet even their inspiration must come from nature. Puerto Rico is home to three bioluminescent bays. 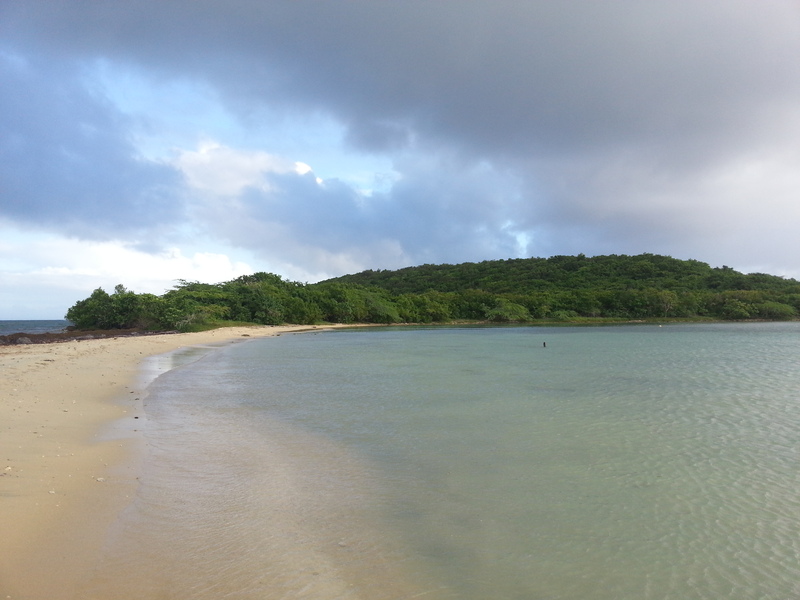 The most pristine – and world’s brightest, per Guinness World Records – is Mosquito Bay, on the south coast of Vieques. This lush island spans roughly 21 miles wide and 4 miles long, with two towns and no stoplights. The bay is so named because the mosquitoes and dinoflagellates vie for dominance, but here, where you can scoop up handfuls of glittering water and watch liquid diamonds slip through your fingers, it’s the smallest creatures that deserve deference. This is where I found myself on a Monday night in November, fortunately with only the slightest crescent moon, to better enjoy the show ahead. In an unpaved parking lot, I sat in a van with tourists from New York, Italy and Romania, taking shelter from light rain outside as Cruz, a guide with Abe’s Snorkeling and Bio-Bay Tours, sorted our payments. Puerto Rico’s rainy season spans from May to November, and all of two days into my trip, I had already seen my share of downpours as well as rainbows. A woman approached the van, asking Cruz if she could cancel and postpone her tour due to the rain. I smiled with dubious confidence, having witnessed how unpredictably the rain starts and stops in the tropics. 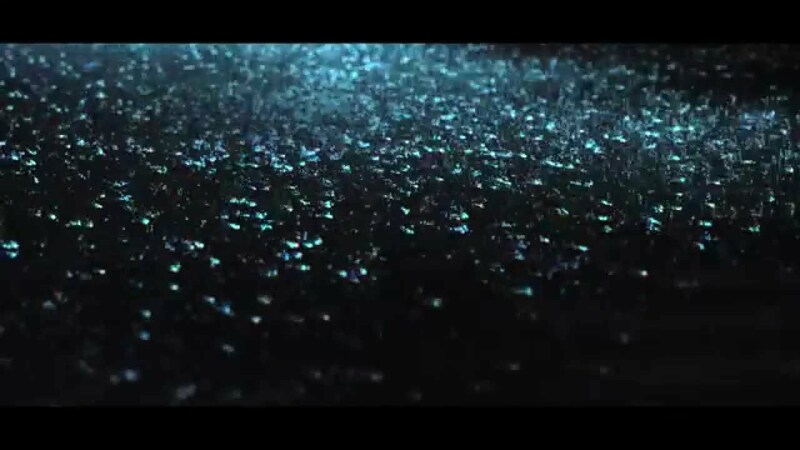 Later, I realized how beautiful it would have been to see the impact of raindrops on the water with the bioluminescence – but sure enough, the rain did stop. We filed out to the bay’s edge in the darkness, donned life vests and arranged ourselves into two- or three-person kayaks. I glimpsed a mysterious glow as soon as I got into the kayak and paddled my first strokes, and quickly lost myself in the wonder of the bay. A static veil of star-dusted night sky above mirrored the more fluid lights below, while the chatter of frogs and crickets emanated from the surrounding mangrove forest. “Follow the blinking white light” was the theme as Cruz led us into the bay, distinct from the rest of our dark kayaks with the pulsing light of his headlamp. But the most incredible light was in the water, as we observed light trails instantaneously following darting fish, others’ kayaks, and our own paddles. Each instrument of motion poured a shower of light that sparkled and dissipated like a fireworks show. In the darkest areas of the water, the organisms glinted sharply and distinctively. Elsewhere, they twinkled with gentler light, like uncut diamonds. I plunged my hand into the bay and pulled a glowing wake alongside the kayak, watching the radiance within the inky darkness, feeling like a magician who could create anything. The dinoflagellates are very sensitive to water temperature, salinity, depth and pH levels. Mosquito Bay is perfect as a shallow, enclosed bay with water ranging from 80-86 degrees Farenheit. Prevailing currents push plankton-rich surface ocean water through a narrow channel downwind into the bay, where the microorganisms collect. They are not sufficiently large or fast swimmers to make their way back through the channel into the open ocean, and just as well, since the bay offers them greater hospitality. Mangroves encircle the bay, providing Vitamin B12 and protein. Beyond them lie lagunas or salt ponds, which collect excess water during high tides or heavy rains and gradually filter fresh water back into the bay. This action maintains suitable salinity levels for the dinoflagellates. To best enjoy the luminescence, the bay needs protection against light pollution. As of November 2014, a sports center was under construction off the north-south road that runs from the southern town of Esperanza up to the ferry landing on the island’s north coast. However, locals are uncertain about completing the construction, as the lights could interfere with the bioluminescent bay. The delicate balance that gives rise to the dinoflagellates and their enjoyment is not something to take for granted. In early 2014, the bay went dark for a few months, to the alarm of locals and all interested in the preservation of this phenomenon. Cruz speculated that this was due to unusual weather and storms, and different winds from what is typical for the island. In response to this concern, officials prohibited swimming in the water, and limited licensed kayak tours to weekends. In fall, the luminescence returned. These events served as a reminder that we are still learning about the dinoflagellates, and must take care not to exploit the delicate ecosystem known to favor their survival. The Vieques Conservation and Historical Trust is currently working to protect watershed, limit light pollution, monitor water quality, and encourage sustainable tourism. Mosquito Bay has the potential to become a UNESCO biosphere reserve. Peaceful waters and brooding skies in Vieques near the town of Esperanza (Spanish for “hope”), on the island’s southern coast. From the mid-1940s until as recently as 2003, the U.S. Navy used nearly three-quarters of Vieques for weapons testing and training. They controlled the island’s best resources, most fertile agricultural lands, highest points and closest connecting point to Puerto Rico’s main island. Tensions between the Navy and locals were exacerbated in 1999, when a Marine pilot errantly killed a civilian security guard, David Sanes Rodríguez, with two bombs that missed their target. Four years later, a civil disobedience campaign with thousands of citizens and supporters from around the world finally forced the Navy off the island. For decades, the Navy’s presence rendered many exquisite beaches inaccessible to civilians. Today, this means that the island is less commercial, with a serene, small-town feel, and less trodden, more pristine shores than many other Caribbean islands. However, the lack of tourist development and accompanying economic benefits came at a cost to residents. Vieques unemployment hovers near 20 percent, and poverty is widespread. 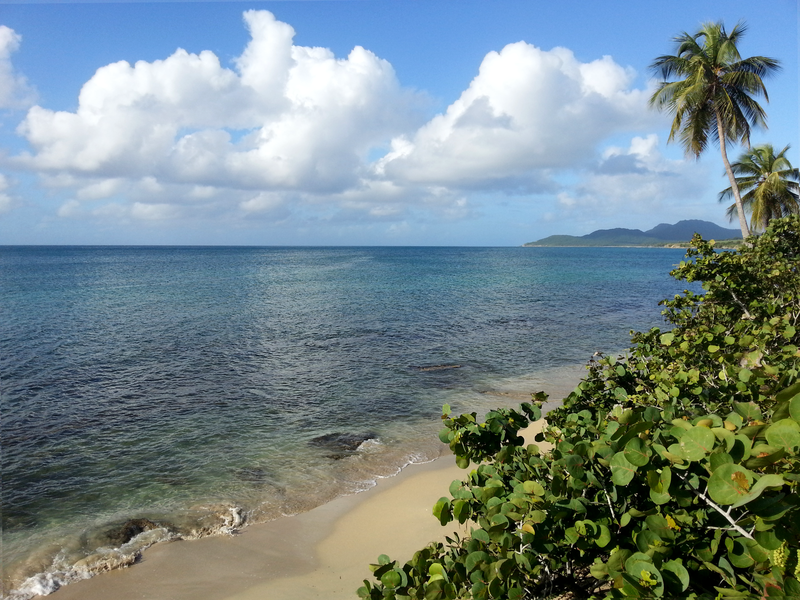 Puerto Rico and Vieques authorities, along with the U.S. National Fish and Wildlife Service, who received many former Navy lands, now promote the island as an ecotourism destination. However, the degree of environmental health degradation resulting from the military’s activities is still not fully understood. 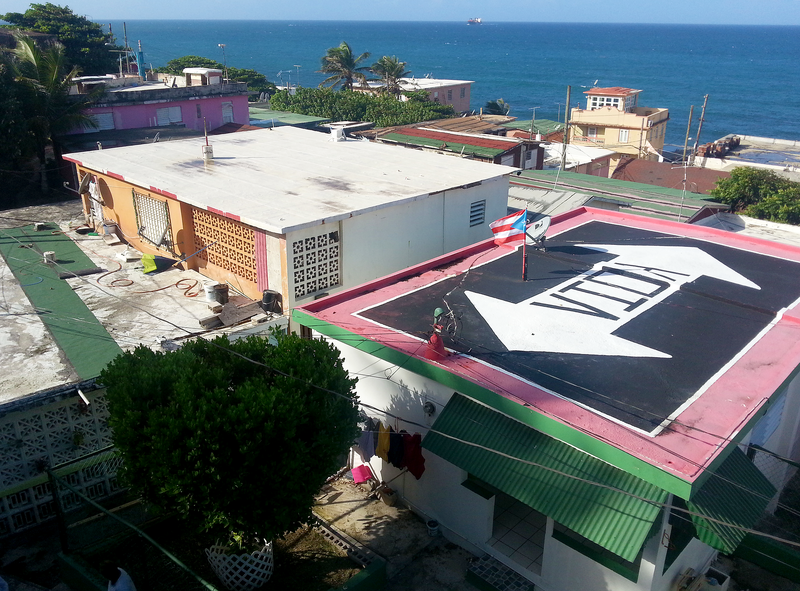 A 1990s study by the Puerto Rico Health Department found that Vieques residents had a cancer rate 26.9 percent higher than the national average. This could be due to heavy metals and toxins resulting from Navy activities – or perhaps skewed due to the island’s small population (less than 10,000, compared to 3.6 million for Puerto Rico as a whole) and undeveloped healthcare facilities. The island’s eastern tip remains contaminated and uninhabited, while the Navy works to clean up the land and subsequently the water, with efforts and funding that many argue are not enough. Fortunately for supporters of the Bio-Bay, Mosquito Bay is removed from the former Navy lands. And while the travel distance is optimal for east coast or southern U.S. residents, Puerto Rico is an easy and welcome destination for Americans – no need for a passport, change of currency, international phone plan, or extra time at the airport going through customs. 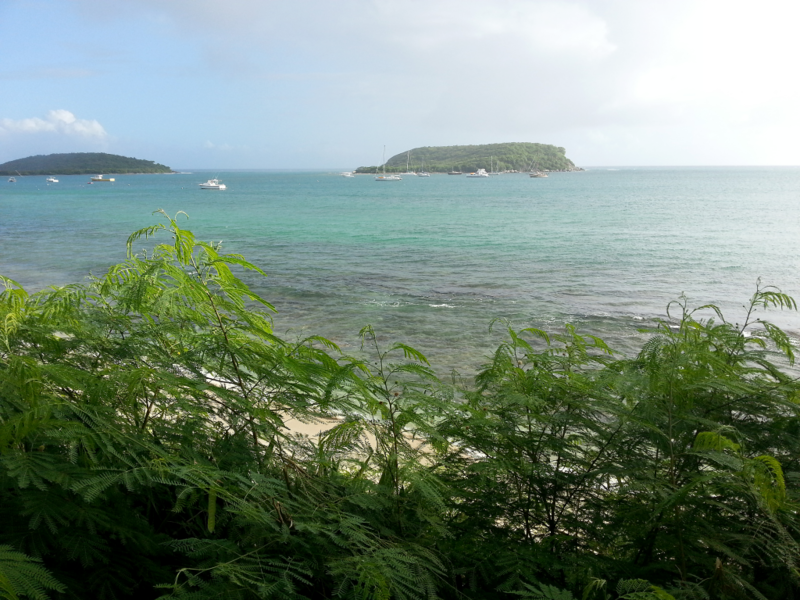 Visitors can fly or take a ferry to the island of Vieques. As with Vieques itself, Mosquito Bay showcases nature’s dual fragility and resilience, and the importance of education and sustainable development. The dinoflagellates lack the durability of diamonds, but the ephemeral brilliance they emit, evoking childlike wonder in visitors of all ages, is an experience to treasure forever.